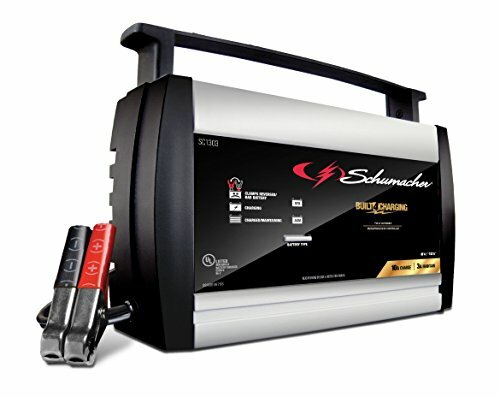 Schumacher's 10A 6/12V fully automatic battery charger is microprocessor-controlled to automatically adjust the amperage rate to charge and maintain, with multi-stage charging for added precision, safety, and battery life. Float-mode monitoring automatically maintains optimum battery charge. Auto-voltage detection automatically detects 6 or 12 Volt batteries. Reverse hook-up protection charger will not operate if clamps are reversed.